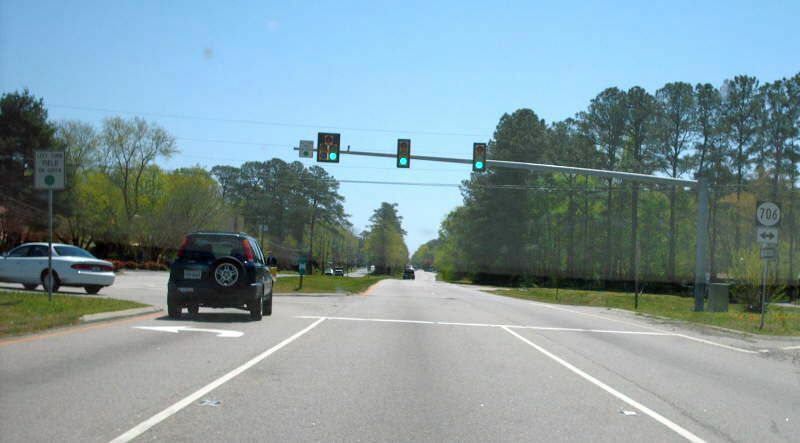 The west end of VA 171, here at the Jefferson Ave/Oyster Point Rd intersection, is unsigned. 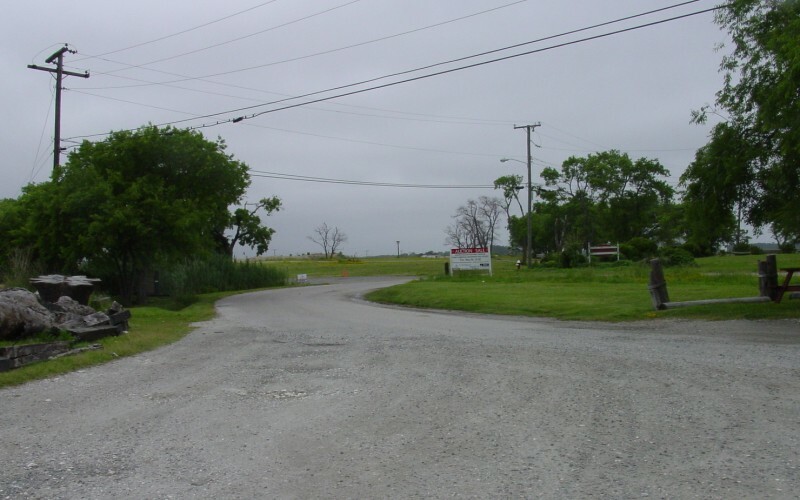 This view is eastbound along Oyster Point Rd onto the beginning of VA 171 East which has begun here since 2002. Photo by Adam Froehlig, taken April 6, 2003. 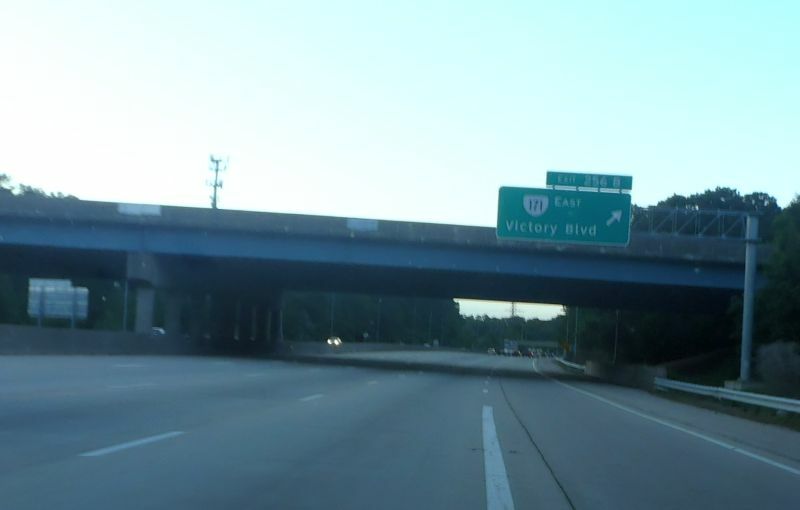 I-64 east at VA 171. This was the endpoint of VA 171 from 1999 to 2002. 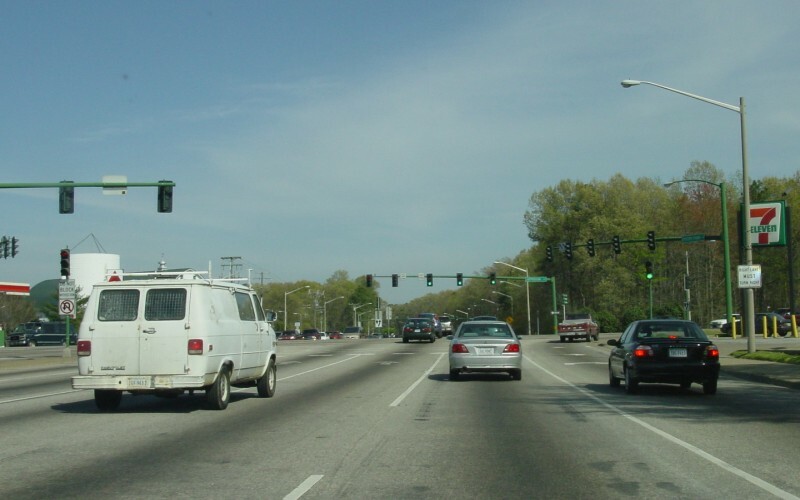 I-64 BGSs are the only postings for VA 171 within the City of Newport News. Photo by Mapmikey, taken May 6, 2017. VA 171 east leaving I-64. Photo by Mapmikey, taken May 6, 2017. 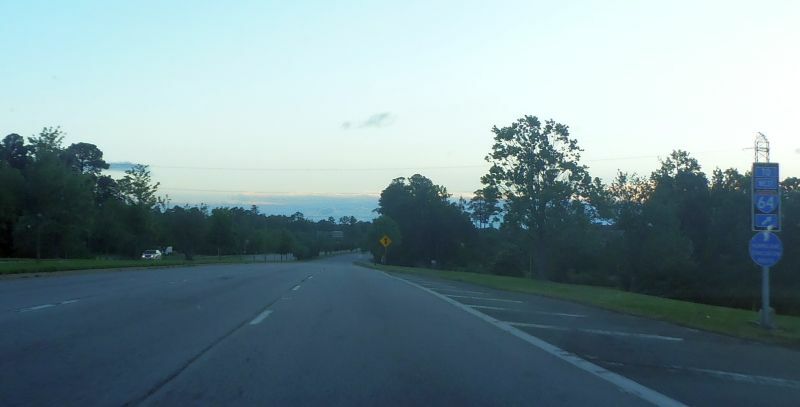 VA 134 south at SR 706 in Tabb. From 1946-86, VA 171 began to the left. Photo by Mapmikey, taken April 20, 2007. 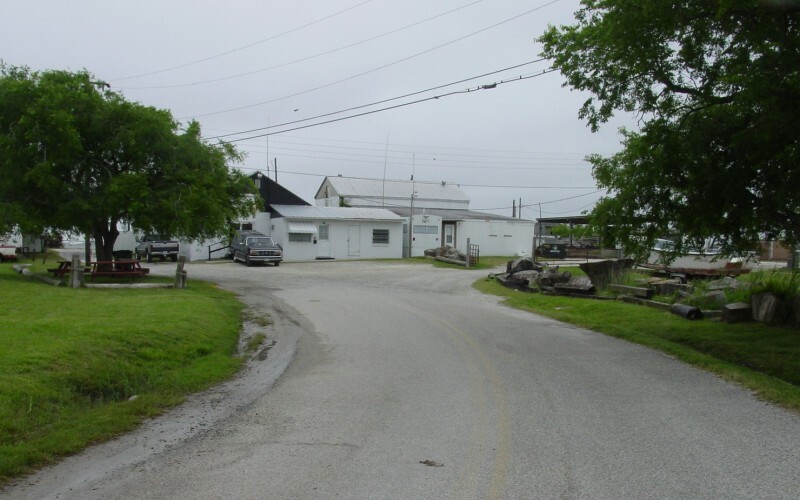 The east end of VA 171, located on Messick Point, leads into this driveway for a fish market. Photo by Adam Froehlig, taken May 17, 2003. Looking back to the west from the driveway. Photo by Adam Froehlig, taken May 17, 2003.